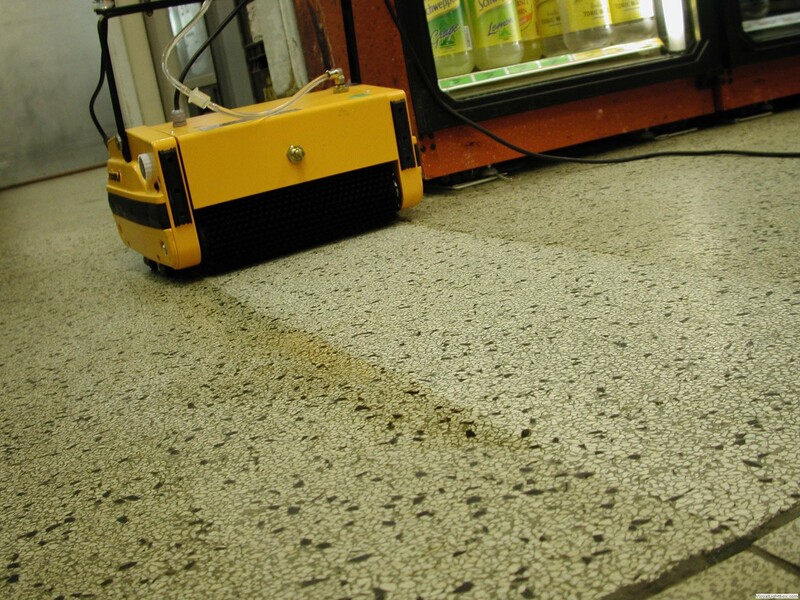 All Rotowash machines use up to 90% less* water and cleaning chemical than other conventional cleaning methods, which means large areas can be cleaned between filling and emptying. 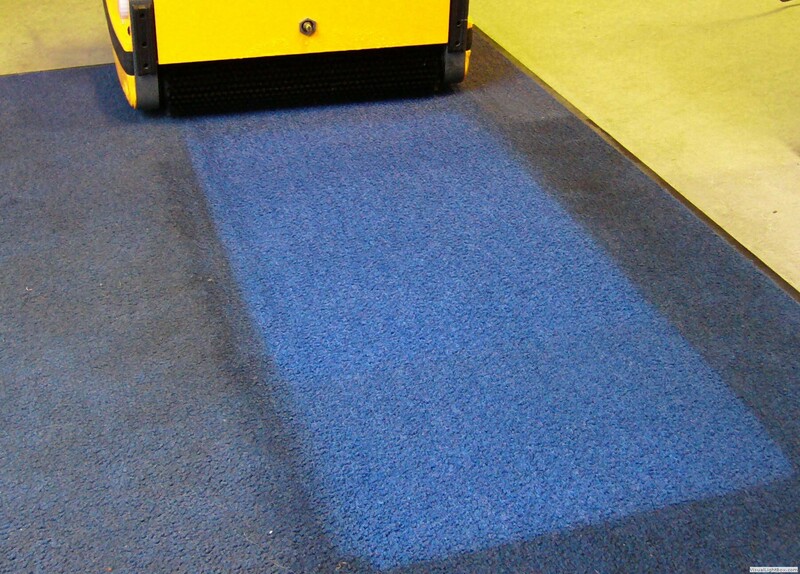 Minimal water consumption also means smaller overall machine size, less weight to move and ease of use. A Rotowash is as quick and easy to use as an upright vacuum cleaner, but with the results of a commercial cleaners. 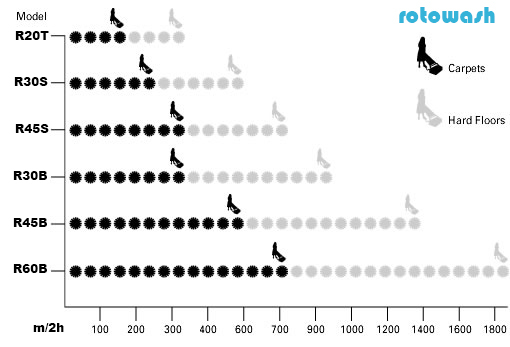 The above chart indicates examples of the floor cleaning productivity achieved per hour using Rotowash machines. 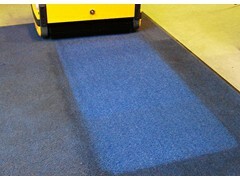 Smart Design: It's not what it does; but 'HOW IT DOES' that ensures effective, effortless cleaning results. 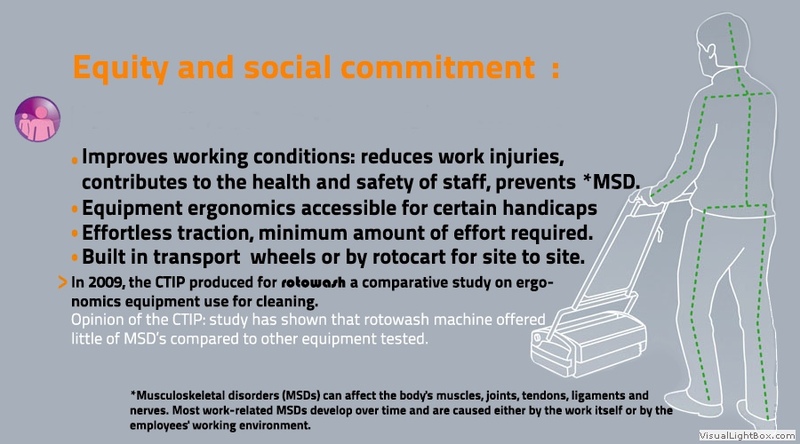 Portability: Compactand easy to move around with built in carry wheels, or from site to site on a rotocart. 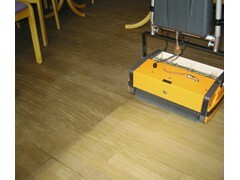 Brush diameter: Large diameter brushes give higher surface speeds (5 meter per second) and reduced working time. Brush removal: Remove and clean brushes in seconds without the need for tools. Experience has taught us that operators are less inclined to remove and clean brushes after use, where tools are required. 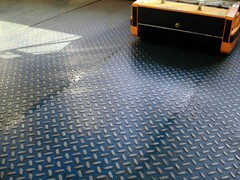 This will compromise hygiene and can result in cross contamination of area's. One tough pick up drum: We don't have a complexed, costly to maintain pick up system, NO multiple rubber conveyor belts, NO mulitple parts, NO lubricants to be regularly applied to belts. 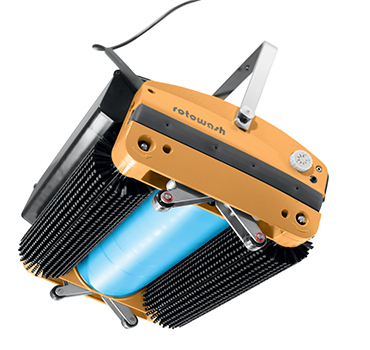 Rotowash has a single, tough rotating pick up drum onto which the dirty solution is thrown by centrifugal force from both brushes and then collected in the recovery tank. Now that's simple, very effective, and low cost to maintain. 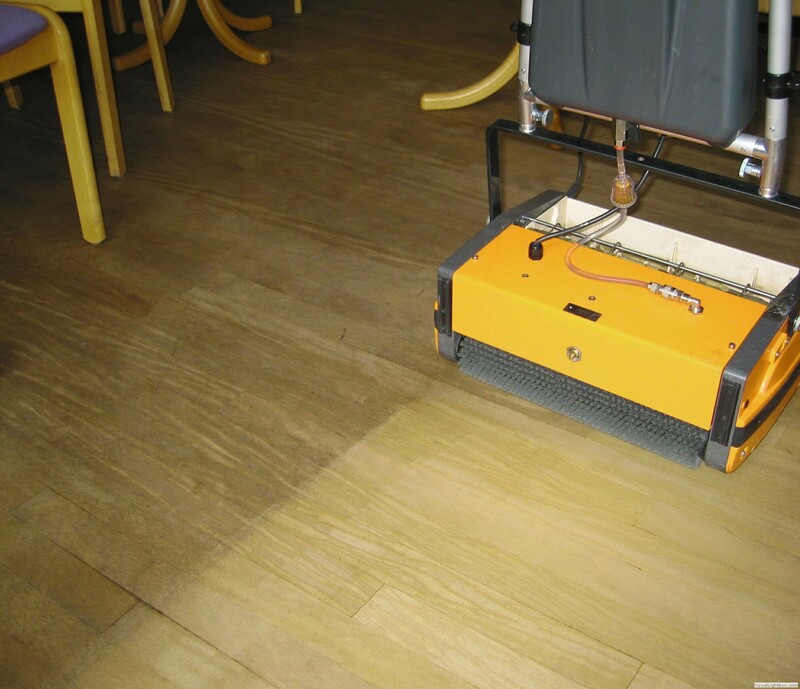 Applying Cleaning solution: The cleaning solution is applied in a forward direction, ensuring that both brushes provide maximum retrieval of waste in a single pass. Unlike systems that deliver to the front and rear of a machine which ensures that a double pass must always occur to retrieve the solution left behind in the opposite direction of travel. 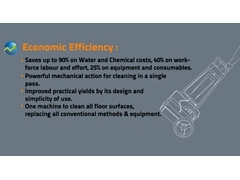 Clean water tank/s: The clean water tank/s simply lift out of the machine and are extremely easy to clean. Recovery tank: The recovery tank is situated on the rear and simply lifts out and cleaned in seconds. 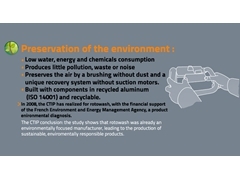 The dirty solution is efficiently removed from the pick-up drum by one long life stainless steel blade, which can be changed in seconds without tools. but 'HOW' it does it. 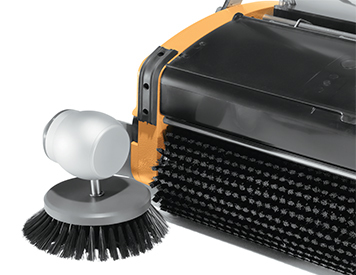 Due to our unique orginal design twin cylindrical contra-rotating brush system, the contra rotation of our brushes actually combs, lifts and opens your flattened carpet pile in both directions at the same time. 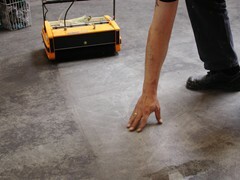 ( like running your fingers through your hair from back to front at the same time).This unique key action releases the trapped soiling from deep within the pile; which is left behind by other types of floor cleaners that fail to remove the deep dirt which so often results in the bad odours you experience after you have just had your carpet cleaned. Regular maintenance with a rotowash will restore your floor covering and remove the trapped dirt and thus release the source of these odours. 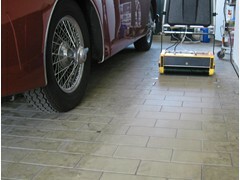 With up to 600,000 contra rotating bristles cleaning at 650rpm and exerting up to 10 times the cleaning pressure of conventional flat pad type rotary floor cleaning machines, Rotowash delivers exceptional efficiency and cleaning power, with soft, medium or hard brushes reaching deep into the irregularities of all types of floor surfaces, from Tiles to Carpets and so much more. 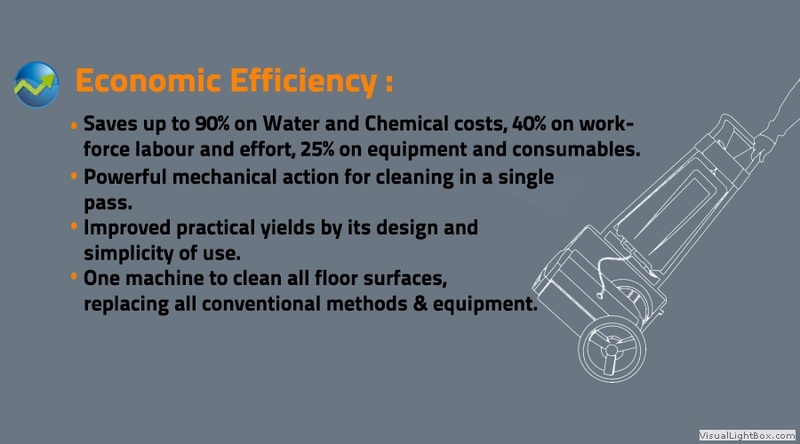 Rotowash floorcleaning machines are designed and manufactured at our state of the art facilities in Austria, using material and components of the highest quality. 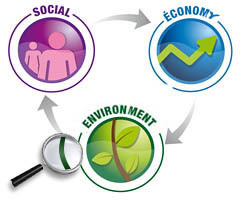 The management and production systems we employ undergo frequent audits by the British Standards Institute (BSI-ISO 9001). 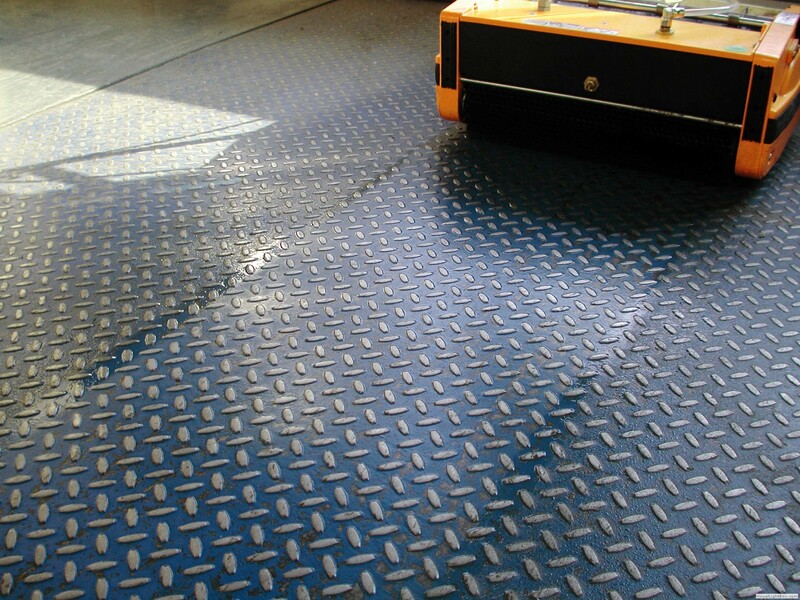 Further rotowash products are regularly audited and approved by these leading organisations above. 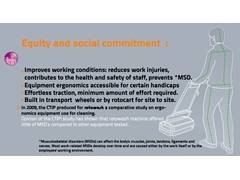 We place Safety, Quality, Ergonomics and Eco-awareness at the very heart of all our design principles. 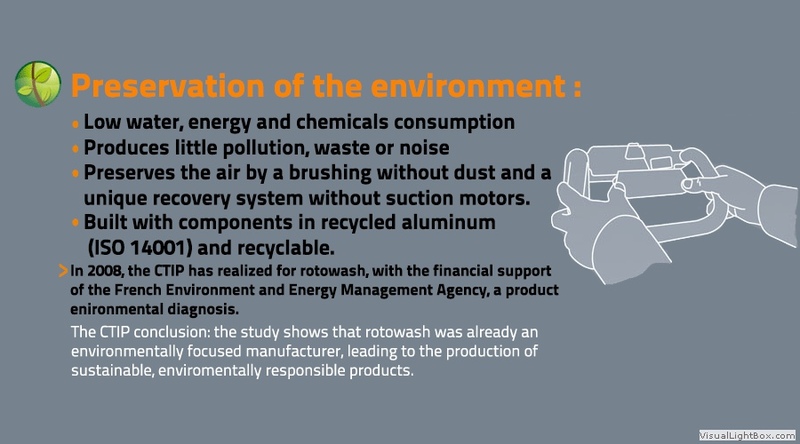 Since 1971, the core ROTOWASH principles have reconciled the economy, society and the environment with a cross pragmatic approach to sustainable development by establishing a virtuous circle between these three pillars.